This is an all color look at the freight equipment of the CSX. 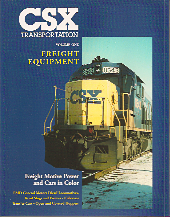 This volume includes EMD Diesel locomotives, covered hoppers, open hoppers and cabooses. Well illustrated.